Can you spot all the petroglyphs? 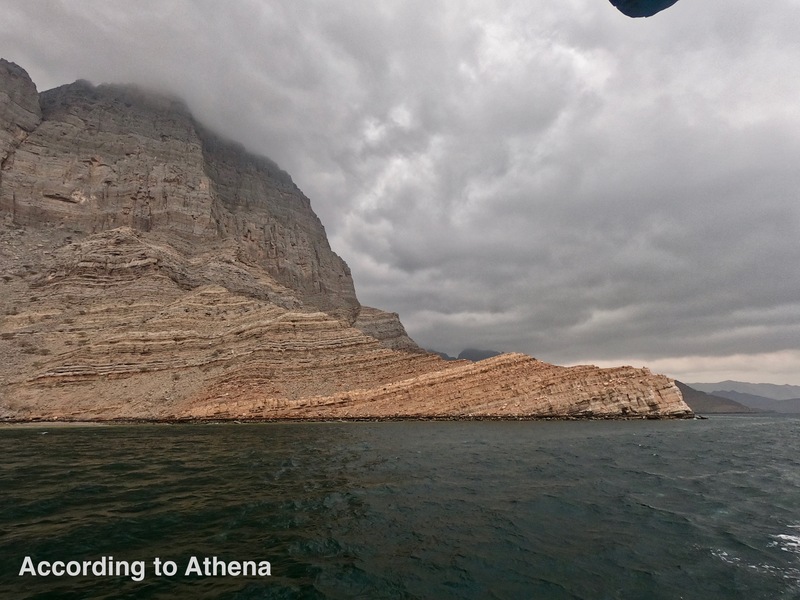 There’s not a ton of cool stuff to do near Khasab without a boat or a 4WD vehicle. 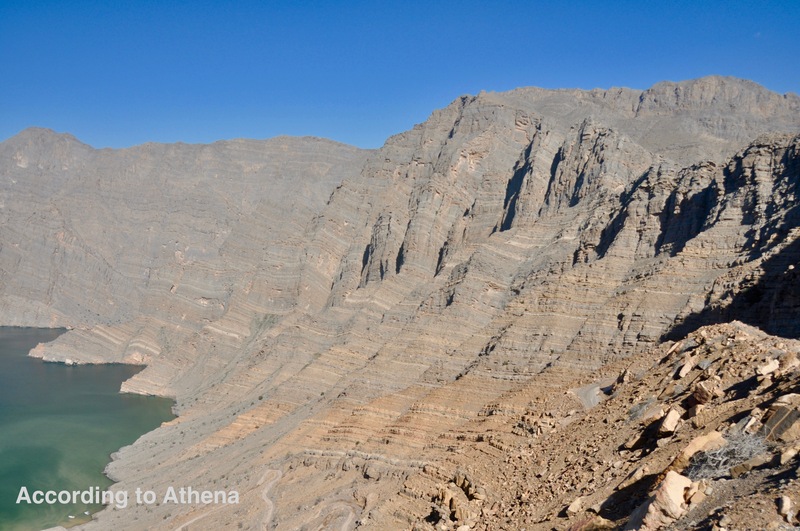 These petroglyphs, however, are very easy to get to, even in a sedan, and are only a 15 minute drive from Khasab! 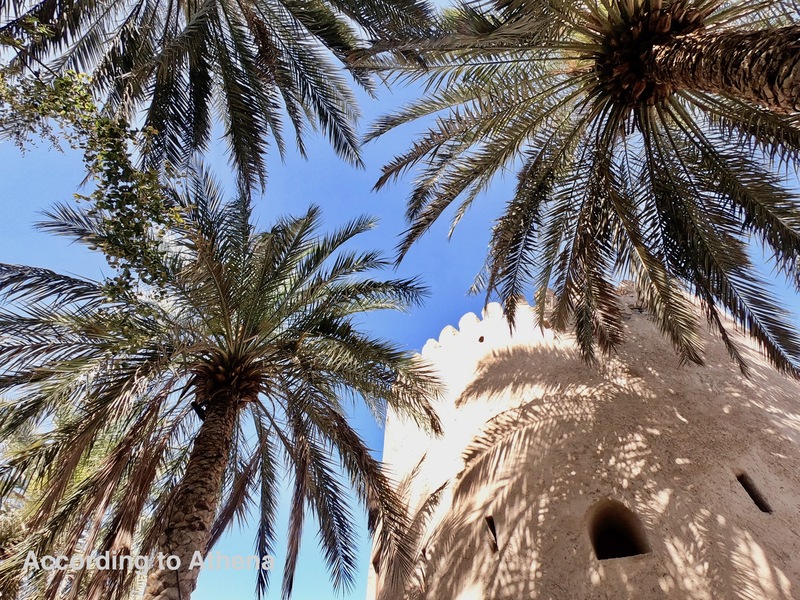 Drive to the coastal town of Qadah and then take the main drag through town into the wadi. The approximate location of the petroglphys is in Google Maps as “rock carving”, but as you’re driving in they are on the left in an area that is overrun by goats. There are several different rocks with petroglyphs on them, and climb on the rocks and boulders around the area to spot even more. We lucked out because a tour came through and the guide pointed out a bunch that otherwise we might not have noticed. M loved running around pointing out all the camels and horses on the rocks! More camels? Or horses? Who knows. 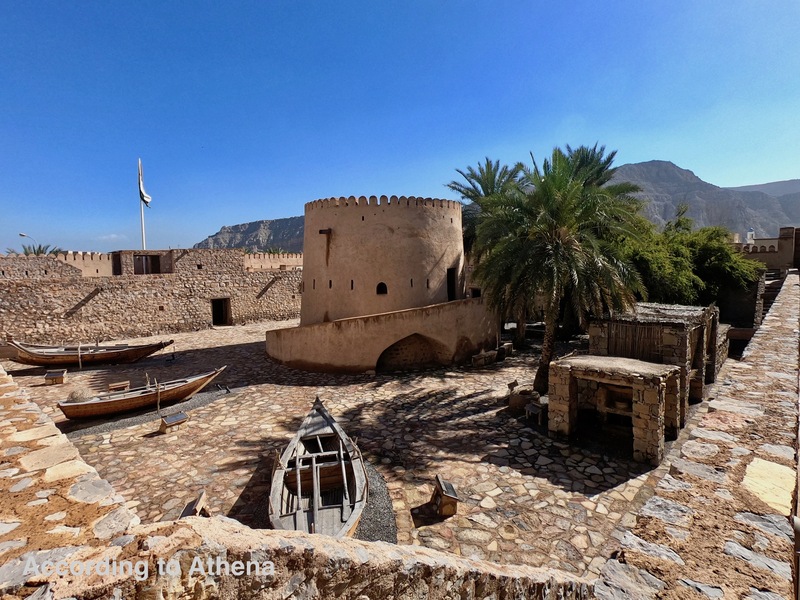 As far as castles and forts in Oman that teach you about what life was like in the area when the castle was built, Khasab Castle is a clear winner. There are lots of neat exhibits with signs in English, both indoors and outdoors, and kids love running around and exploring. There’s also a nice, clean bathroom. The shepherdess on the Salmah Plateau that almost threw a rock at our car was carrying a jirz! 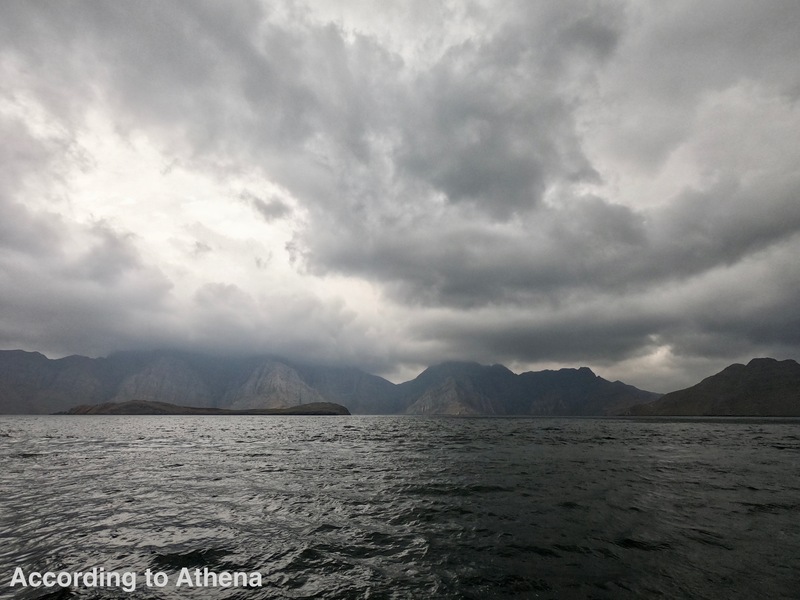 We did a full day dhow trip through the fjords of Musandam, and, in extraordinarily rare turn of events for Oman, the weather was cold, windy, cloudy, and rainy. It was definitely not the sunny, snorkeling-filled day that I’d envisioned. But we made the most of it and had a memorable day. 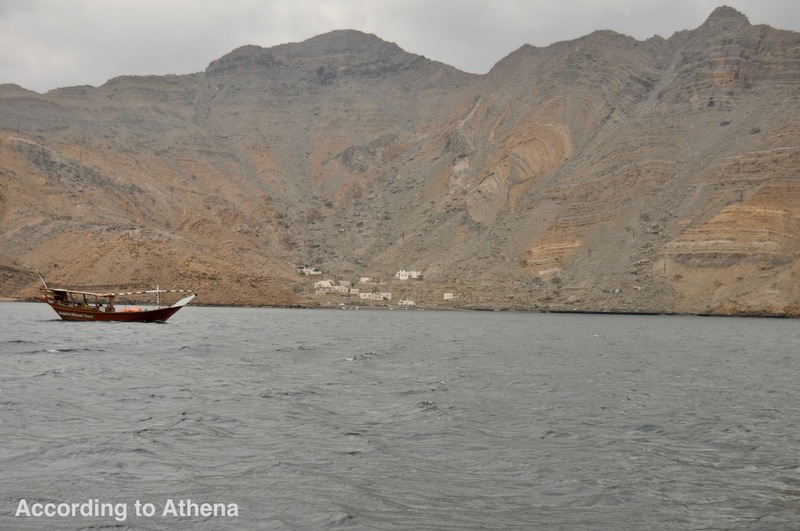 Our dhow left from the Khasab port and we made our way into the fjords, towards Telegraph Island. In the 1800s the British set up a telegraph repeater station there to strengthen the Karachi-London telegraph cable line. Those that were stationed on Telegraph Island regularly went insane, due to the hot temperatures, isolation, and attacks by local tribes. This phenomenon gave rise to the expression “going around the bend,” because, to get to the island, you have to go around the bend in the fjords. Interesting, huh?! We stopped for swimming and snorkeling, and only a handful of people got in the frigid water. M watched one young man dive off the side of the dhow and declared him a “silly little guy.” Indeed. Lunch was surprisingly good. It was a delicious hot buffet of rice, chicken, stewed vegetables, flatbread, hummus and some salad. The boat also had all the karak tea and Omani coffee that we could drink, which was particularly appreciated given the weather. There are a number of villages on the coastal inlets in the fjords, and they are really interesting to see. The guide explained how they built these rock houses which were used to store food and other valuable goods when villagers had to leave during the summer to seek out cooler temperatures. By building the houses out of the same rocks that make up the mountains, the houses were practically invisible until you were right on top of them. The floors were dug out by about a meter, and the doorways were child-sized. Then once you made it through the doorway, it room was of normal height. The door also had a double-locking mechanism (that I don’t fully understand) which generally prevented the thieves from entering. But, on the off-chance that a thief spotted the house and was able to enter, villagers stored foodstuffs in huge clay jars too large to fit through the door to keep thieves from stealing anything. After lunch we explored the other side of the fjords and headed back to port. The sun never came out, but it did eventually stop raining. Poor M wanted so badly to see dolphins, which never happened. There were a lot of enormous jellyfish though, and he had fun pointing them out. These jellyfish weren’t poisonous, and when one of the snorkelers caught one and brought it on deck, M was very excited to touch it! The weather unfortunately didn’t cooperate during our dhow trip and we spent most of it trying to stay dry and warm. But we still had fun and we appreciated the novelty of being cold and rainy weather someplace where the sun shines 99% of the year. Hey, at least we weren’t hot! Did I mention it was cloudy that day? 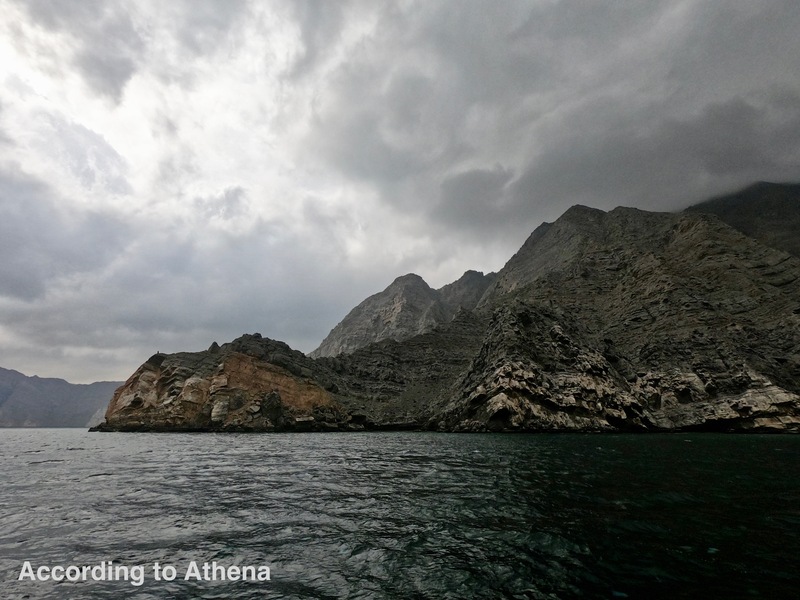 Our first day in Musandam was, as it turned out, the one and only day we would have good weather. Luckily we had planned to spend the day scuba diving! 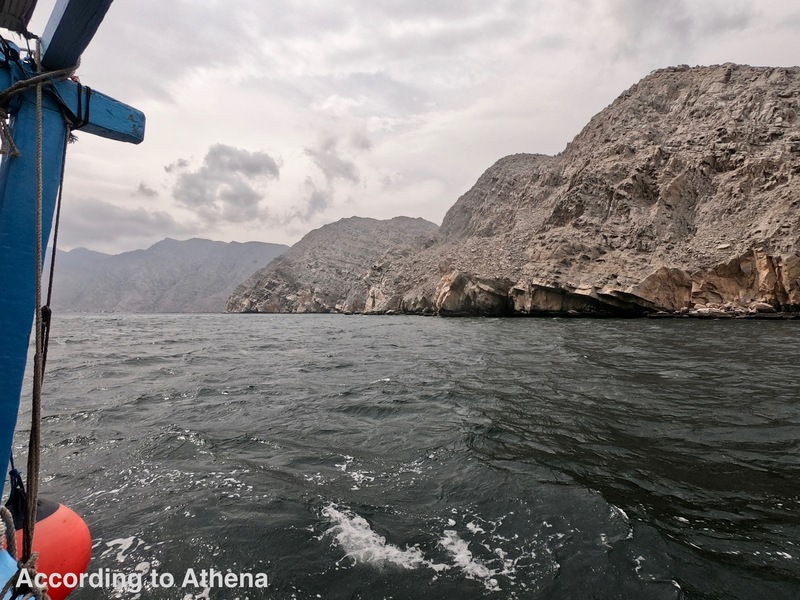 We went with Ras Musandam Diver, and it was a great experience. 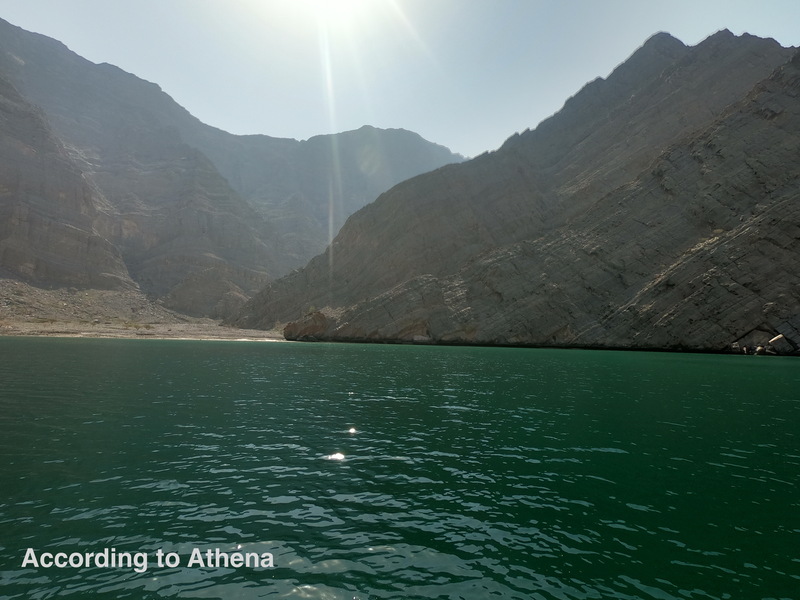 The Ras Musandam dive boat left from Khor An Najd, so we got to explore different fjords than we would have on a dhow trip or something leaving from Khasab. The diving wasn’t spectacular, but we still enjoyed it. It’s always fun to explore a new place and the I love the thrill I get from descending someplace I’ve never been before. In this case I was reminded why it’s important to look down when you’re descending: I almost went crashing down on the reef and sea urchins, which were much shallower than I expected them to be! The problem with diving is that sometimes the conditions are perfect and sometimes they’re not. That day the sea was too rough to go very far out towards the open water and visibility was mediocre. We didn’t see anything particularly different from what we see in and around Muscat, although there were more Arabian angelfish and clown fish. I also finally got to play around with the diving filters on my GoPro (with varying levels of success). Taking the boat through the fjords was cool, and during our surface interval we went on shore and walked around the ruins of a village on the beach. Our dive leader, Fawzy, also took us to a shallow beach full of black tipped reef sharks! Nate went snorkeling there, hoping he get to see the sharks, but they stealthily stayed away from him. It was a lovely day in and out of the water, and definitely the most fun we had on the entire trip. 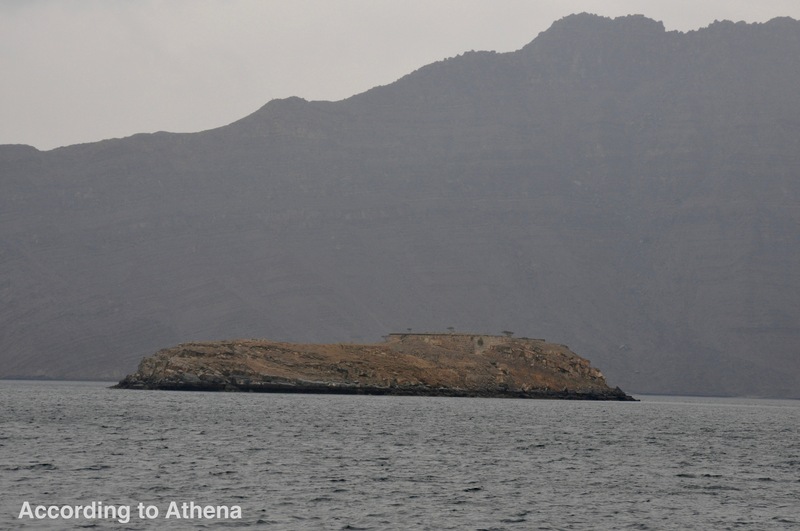 More about Ras Musandam Diver: they went above and beyond to give us the best experience possible. Fawzy recruited his sister when our child care plans fell through, and on the drive to the boat slip he stopped for photo opportunities. Nate and I were the only customers on the boat, and they had towels, water, juice, snacks, pizza, Egyptian pastries, and coffee for us. Fawzy was in no hurry and really just wanted us to have the best day possible. He even threw extra tanks in the car when I asked if we were doing two dives and he said, “Oh, you want to do a third? 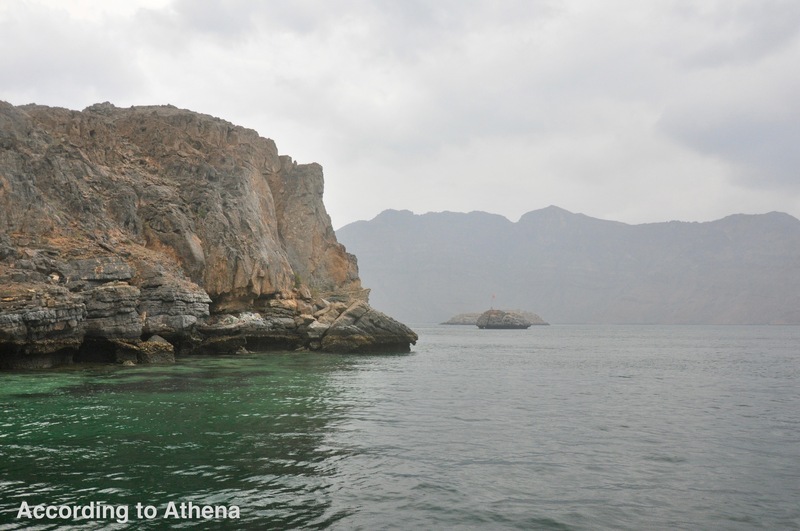 !” If you want to scuba dive in Musandam, we highly recommend Ras Musandam Diver! 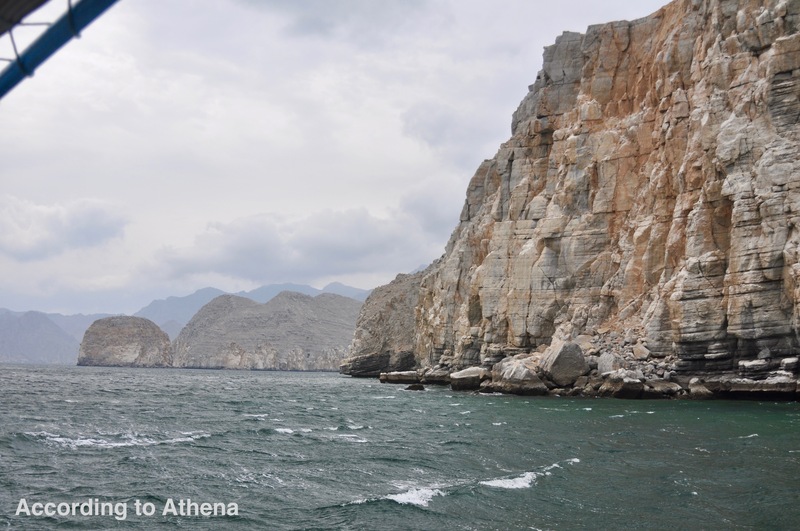 We recently got back from a trip to Khasab in the Musandam peninsula. 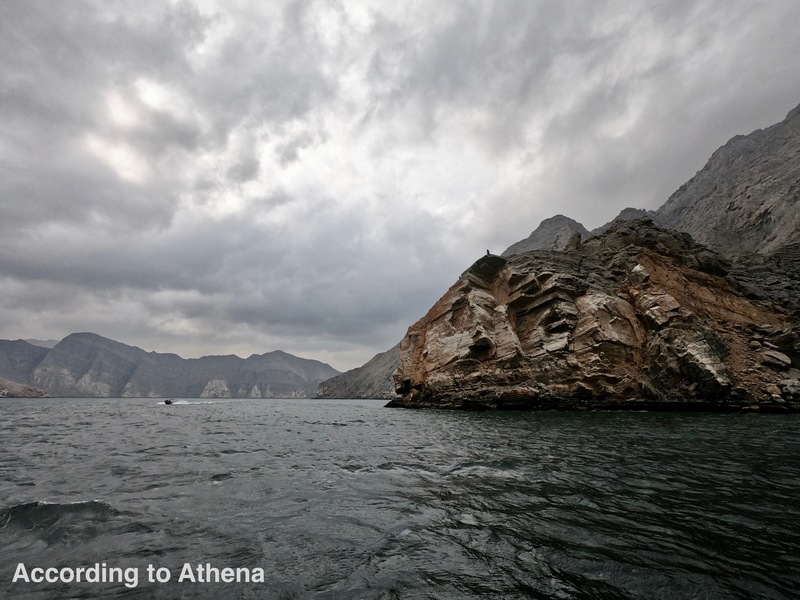 Musandam is separated from the rest of Oman by the UAE and is located right across the Straight of Hormuz from Iran. 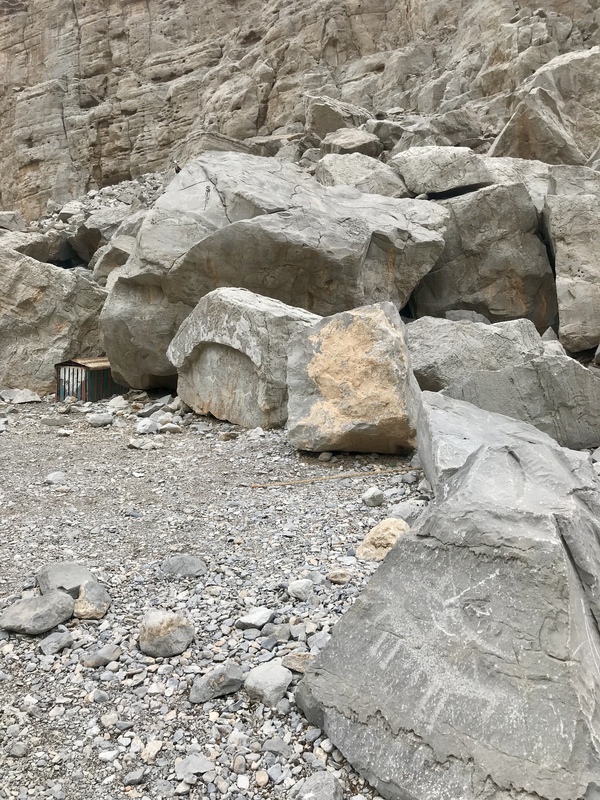 We found that there are lots of things to consider when planning a trip to Musandam, and here I’m going to lay out all the options! 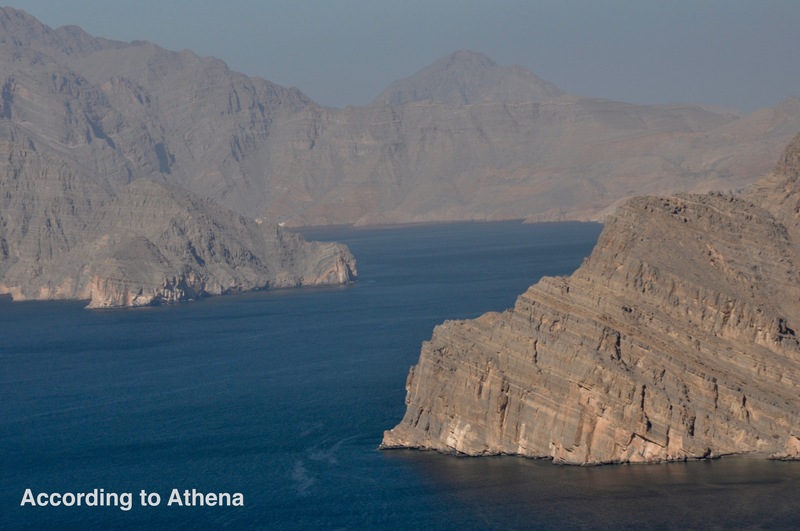 Note that this information is only for Khasab; there are other destinations in Musandam like Lima and Dibba. We didn’t travel to those places so they’re not mentioned below. Driving: We chose to drive because we have a 4WD vehicle and we wanted to explore the mountains and other areas. Plus we wanted to avoid the added expenses of buying plane tickets for three people and a rental car. Assuming there’s no traffic, the actual driving takes about five and a half hours. The expressway basically goes all the way to Hatta, but make sure you leave Muscat with a full tank of gas. Once you pass the Barka/Rustaq exit there are no more gas stations close to the expressway until you’re practically at the border. The borders can add an extra hour or two, possibly more. 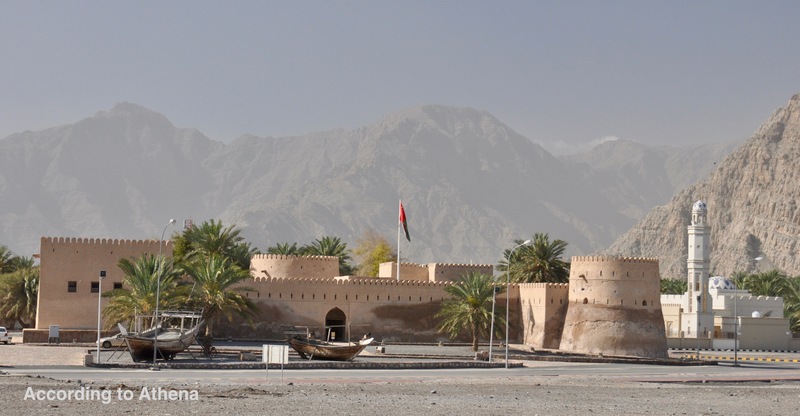 We crossed at Hatta and at Sha’am (past Ras Al-Khaimah) and the Sha’am border was, by far, the worse of the two. Hatta was a well-oiled machine and Sha’am was a mess. Friends advised us to “bring a can of bacon bits and let M run amok” on the UAE side in Sha’am. Luckily it didn’t quite come to that, but I did tell him that if he wanted to start screaming that would be okay. 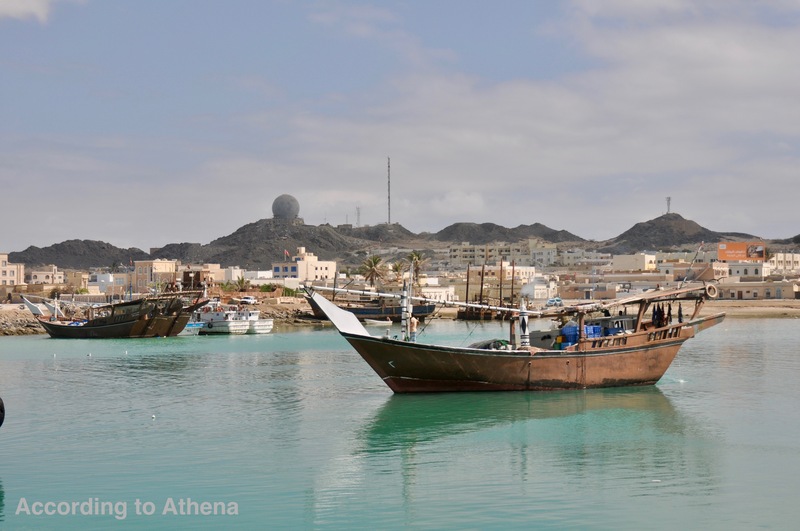 Flying: The main disadvantage to flying is lack of transportation in Khasab. 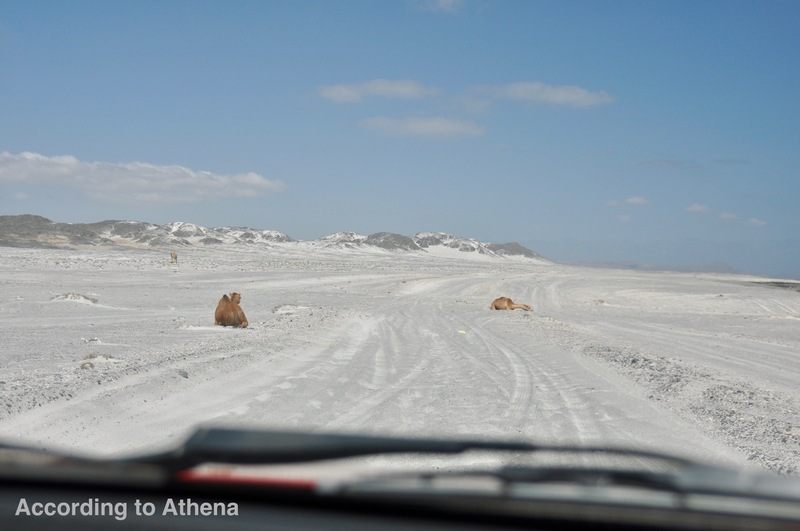 There are no official rental car companies, like Enterprise, Budget or National in Khasab. However, you might find that you don’t actually even need a car. 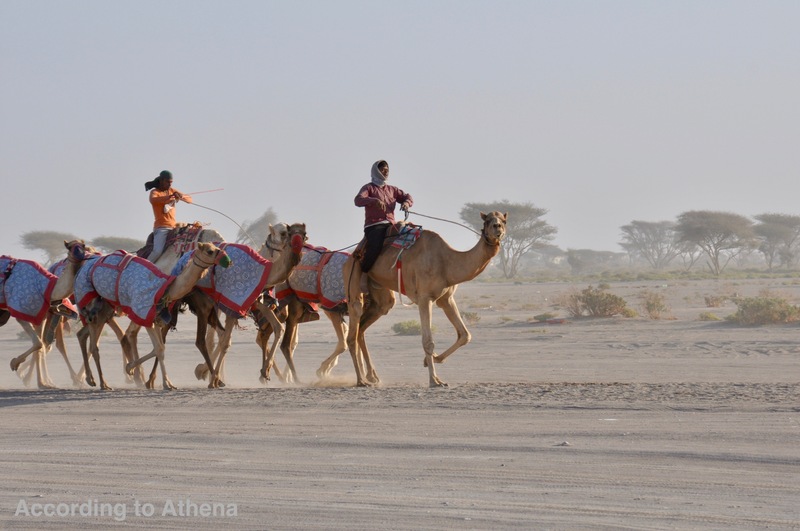 If you book your activities (diving, mountain “safari,” dhow trip, etc) through a tour operator, they will pick you up at your hotel. 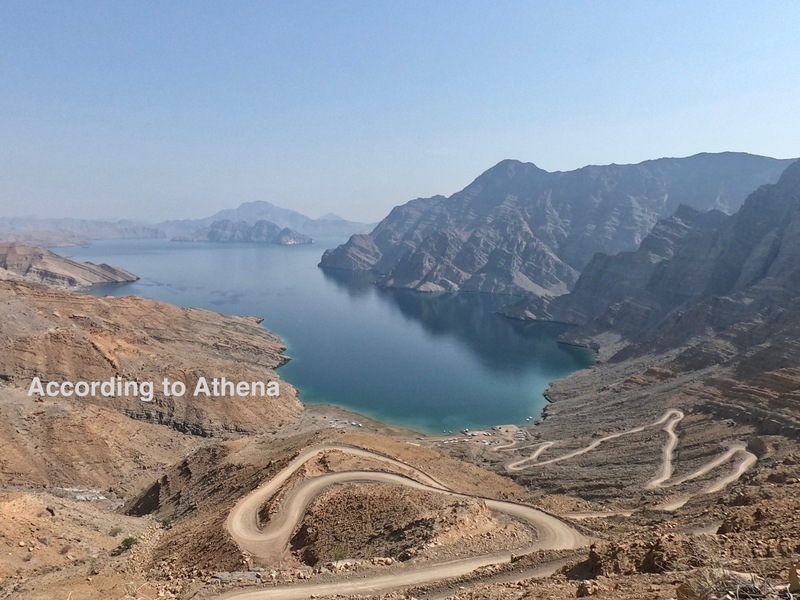 While we were there we ran into a German tourist who had planned to fly to Khasab, but wound up taking a bus because Oman Air grounded all the planes that fly the Muscat-Khasab route, all of which are the seemingly ill-fated Boeing 737 MAX 8’s. 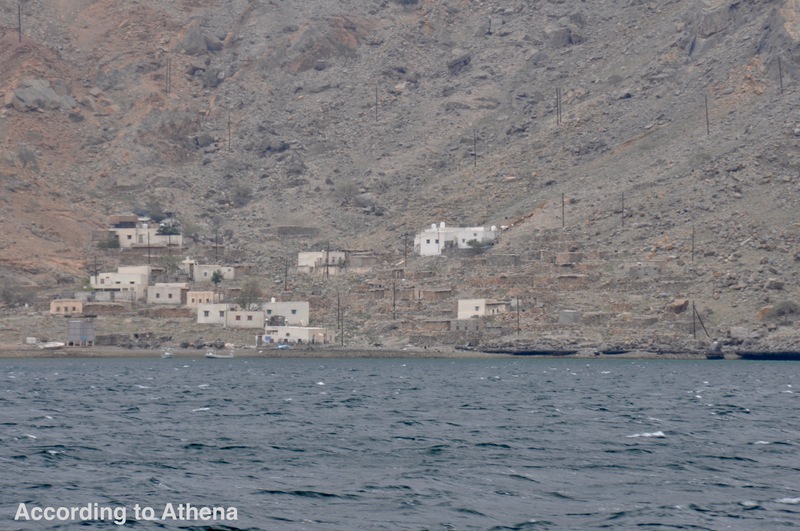 Ferry: There is a ferry that goes from Shinas to Khasab and back. Shinas is about 2.5-3 hours by car from Muscat and the ferry appears to take 3-5 hours (the times on the website vary so wildly it’s hard to know what’s accurate). You don’t really gain any time by taking the ferry, but you do avoid all the border shenanigans. The main problem with the ferry is that it only runs each route twice a week in the afternoon. 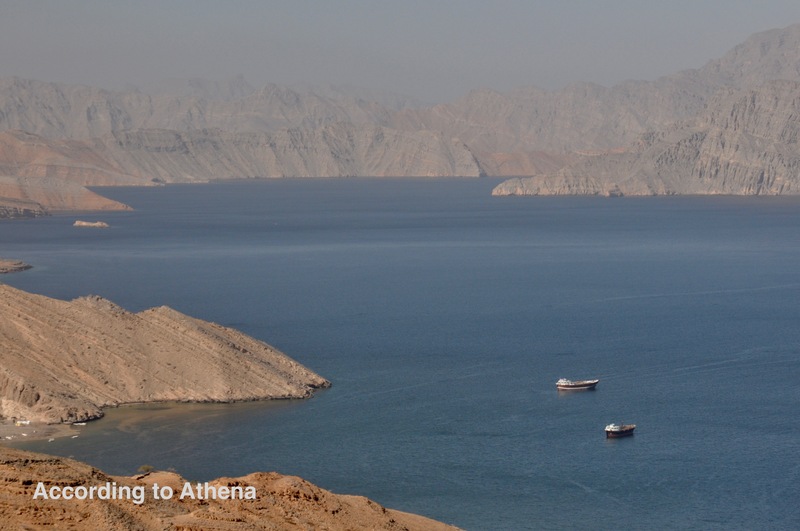 Currently the ferry to Khasab only leaves from Shinas on Sundays and Thursdays, and the ferry to Shinas from Khasab only leaves on Tuesdays and Saturdays (current schedule with times here). The National Ferries Company boats are really nice, and it’s not an uncomfortable way to spend the afternoon, assuming your schedule fits with theirs. 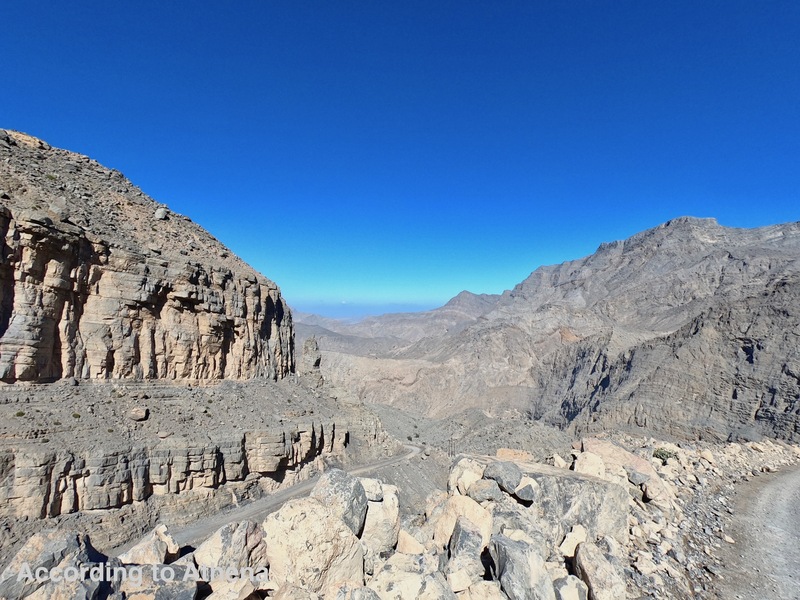 Whether or not to camp in Musandam: All the good camping in Musandam is in the mountains. 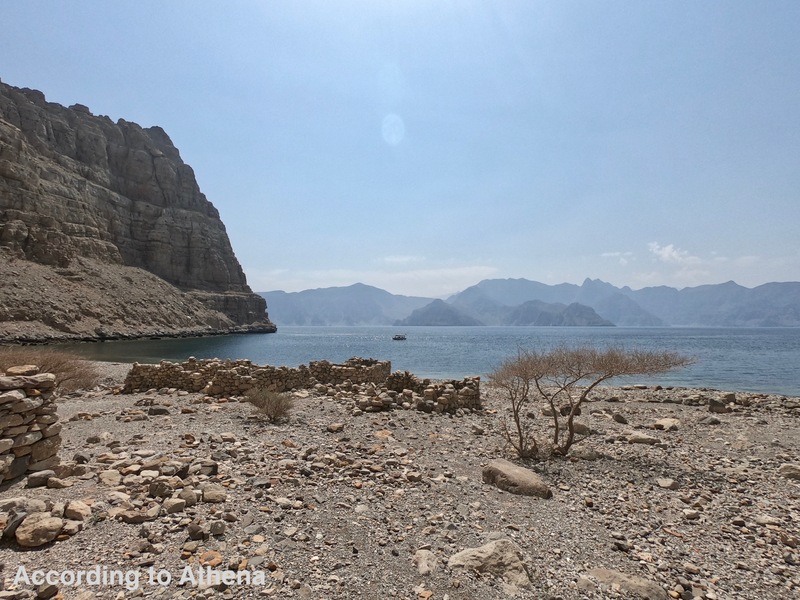 You could camp at Khor An Najd, but there is no privacy, the beach isn’t nice, and there are no discreet toilet facilities (other than the lagoon). Beach camping could be possible, but you’d be right by the main road. We chose to stay at a guest house which suited our needs just fine. In hindsight, we are particularly glad we didn’t camp because it would have been cold, wet, windy and miserable. And we would have gotten stuck up on the mountain after all the rain that washed out the roads. 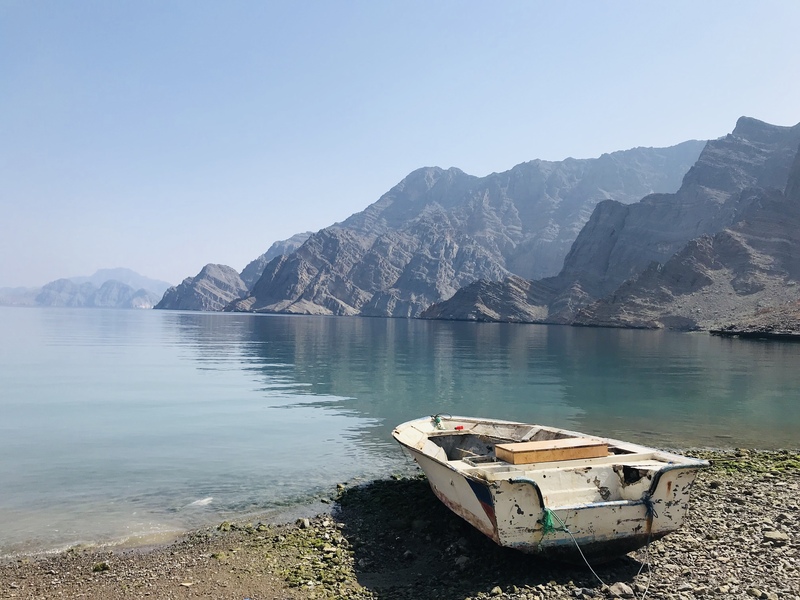 How to budget your time: Seeing the fjords and the mountains are the two main must-do’s in Musandam. If you arrive in the morning on Day 1 and leave at night on Day 2, you could fully experience these two things. 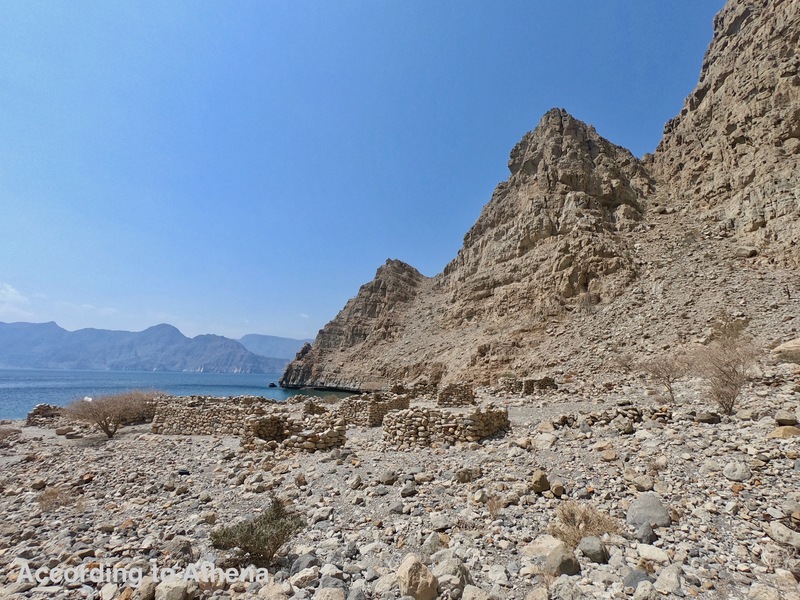 We spent one day scuba diving, another on a dhow trip, and our last day we went to the Khasab castle and tried to explore the mountains. If you’re flying and you want to go scuba diving, note that you’ll have to stay at least 2 nights because you have to wait 24 hours before you can fly after the last dive. There are both half day and full day dhow trips available, and I’d recommend a full day because you’ll get to see more of the fjords and there will be more time for snorkeling, swimming, etc (assuming the weather isn’t terrible). Eating in Khasab:There’s a Lulu Hypermarket which is the perfect place to stock up for picnics and lunches on the road. We bought deli meat, peanut butter, and Nutella to supplement our guesthouse breakfasts. Most of the tour operators and guesthouses will take you to a fresh fish store where you pick out your fish and then they’ll drive you to a restaurant that will grill your fish. 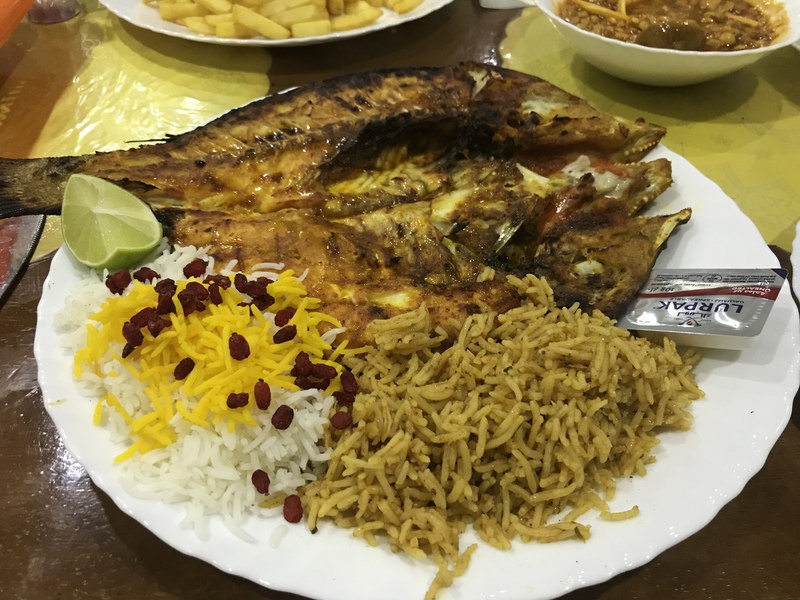 Novelty aside, this was not the best grilled fish we had in Khasab. Our favorite restaurant was a little Iranian place called Restaurant Wadi Qada. It was expensive (for Khasab, but standard for Muscat) but the owner tells you what’s fresh, the pomegranate juice is amazing, the food is top-notch, and the tea is great. I even liked the halwa, and I don’t usually like halwa. Al Shamaliah Grill Restaurant is another popular restaurant, with a good variety of grilled and Indian dishes. The kid’s meal is chicken nuggets, fries, and a hamburger bun. We combined that with a lemon mint drink, and M was in seventh heaven. Notably, Al Shamaliah will deliver, so if you don’t have a car you can just give them a call! There are a number of other restaurants in Khasab; these are just the ones we went to. Call the phone numbers at the bottom of the menu for delivery! 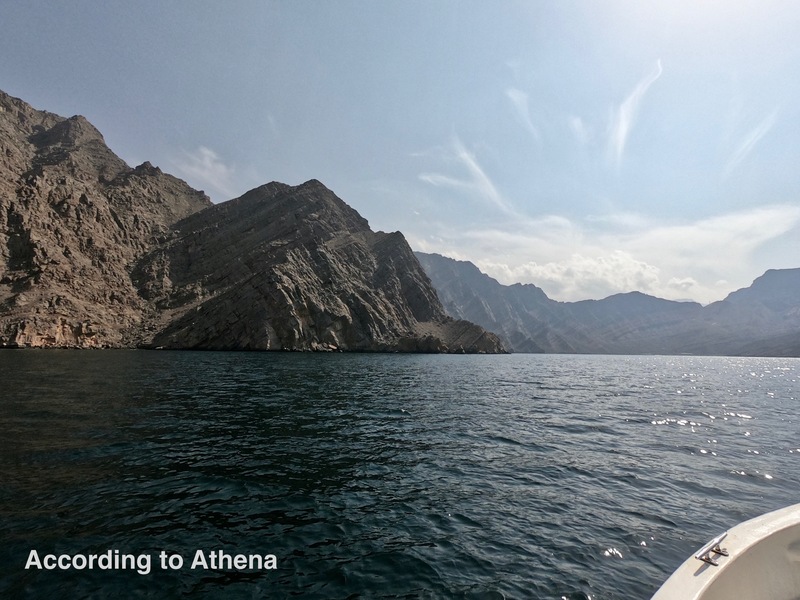 A trip to Musandam might be a lot easier than you’d expect, and it’s definitely a part of Oman that is worth visiting. Hopefully you’ll have better weather than we did! 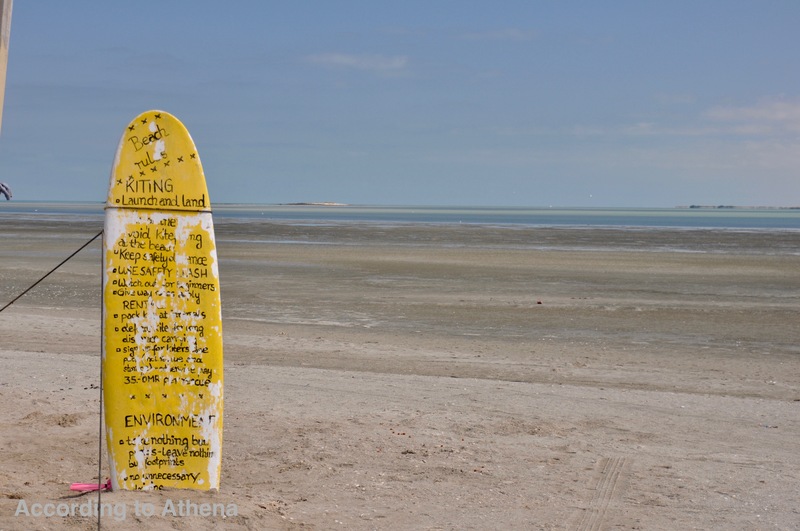 Over the long weekend for President’s Day we went to Masirah Island and it was amazing. We had a beautiful stretch of white sandy beach mostly to ourselves and the weather was perfect. You can camp just about anywhere on the island, except on the military bases, and a friend gave us the turn-off spot for the camping area that her friends always use. We drove down a sandy dirt road until we reached a spot that looked good right by the coast, down the beach a ways from some fishing boats, and we set up camp. We spent the days exploring the beach, collecting shells, and building sand castles. M kept himself busy looking for crabs, until he lost his footing on some rocks, stuck his hand into a crevice to keep from falling, and a hiding crab pinched him. My god did he scream, poor kid. 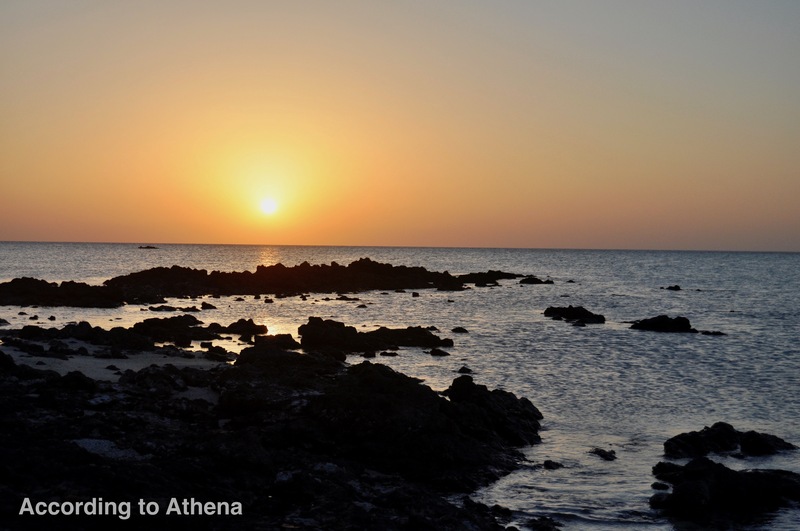 The evenings were spent cooking, drinking wine, taking pictures of the sunset, and reading around the campfire. It was a lovely two days and I just wish we’d had more time. Campfire spaghetti and meatballs: some of the best I’ve ever had! You can drive around the island in a sedan, but to really explore it you need 4WD. Only count on being able to drive on the paved roads in a sedan. We definitely would have gotten stuck several times if we hadn’t had 4WD. Good luck exploring this “road” in a sedan! The west side is less windy than the east side. There are several options for sleeping other than camping on the island. 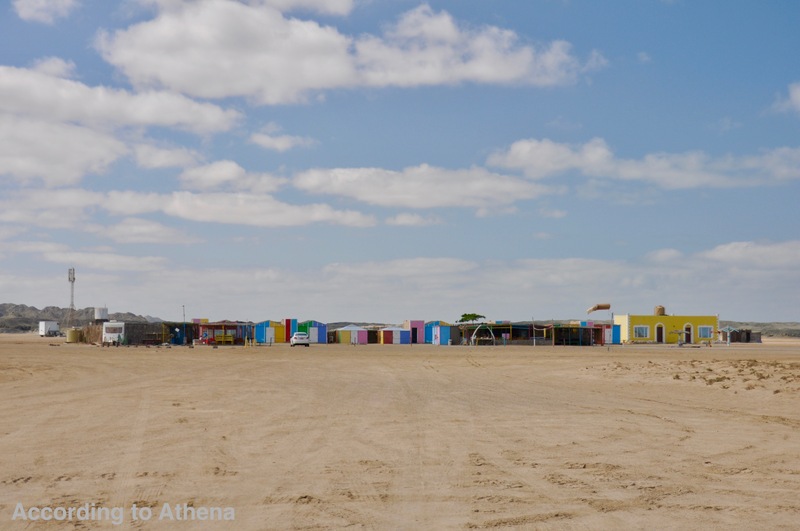 There’s a kite surfing camp plus a number of other hotels. 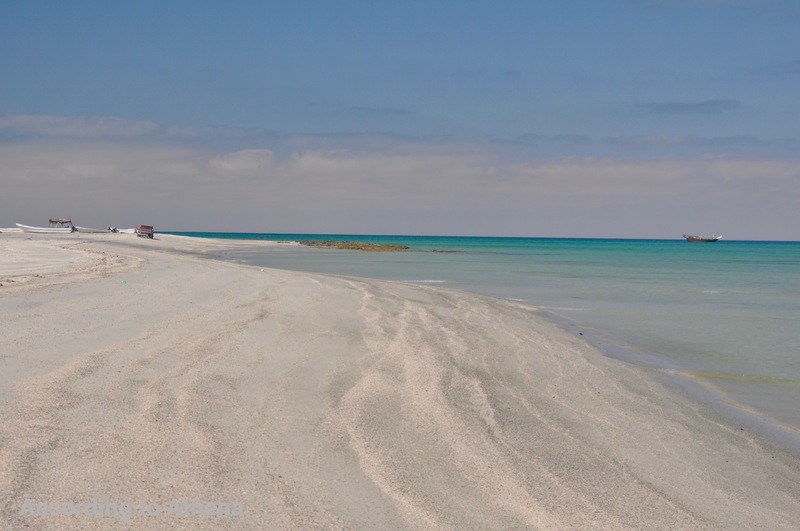 If you’re thinking about making the trip to Masirah, do it! We loved it, and we are really bummed out that we don’t have the time to make another trip there before we leave. 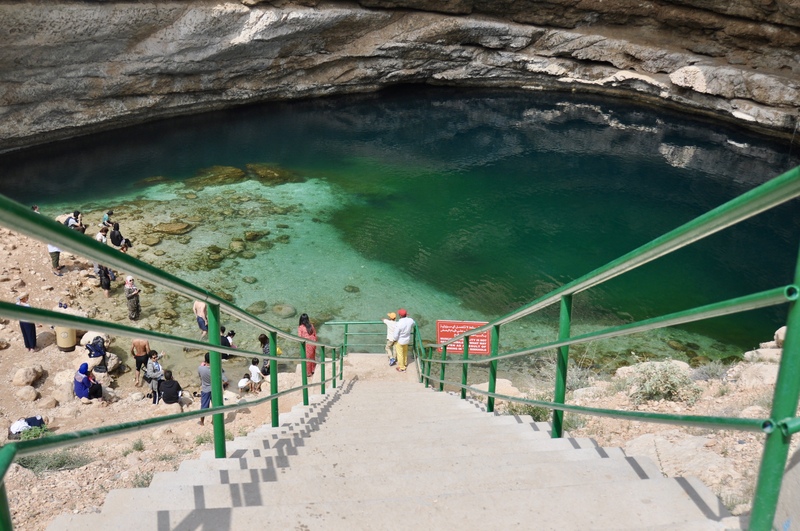 Once again, Oman never fails to impress us with its natural beauty. I don’t even know how many times I’ve been to Bimmah. It’s always a fun place to stop on the way to Wadi Shab or Fins beach, and there’s a playground that M really enjoys. There are clean bathrooms and spigots to refill water bottles, plus some nice shaded picnic pavilions. There used to be a rope tied to a rock at the back of the swimming hole so you could easily climb the wall and jump off, but the last time I was there the rope and rock were gone. Even without the rope, it is still possible to carefully scale the wall and jump off one of the ledges. The water is also full of tiny little fish that will nibble on your toes and give you some free skin exfoliation. Yet another reason we love Bimmah! First, another administrative note: I created a Facebook page for the blog! “Like” it or not, either is fine by me. There I’ll be sharing photos, videos, and opinions (of which I have many) that might not make it onto the blog otherwise. There’s a link to it on the right side-bar, above the “tags,” probably not too far from this text. Moving on to the good stuff…. 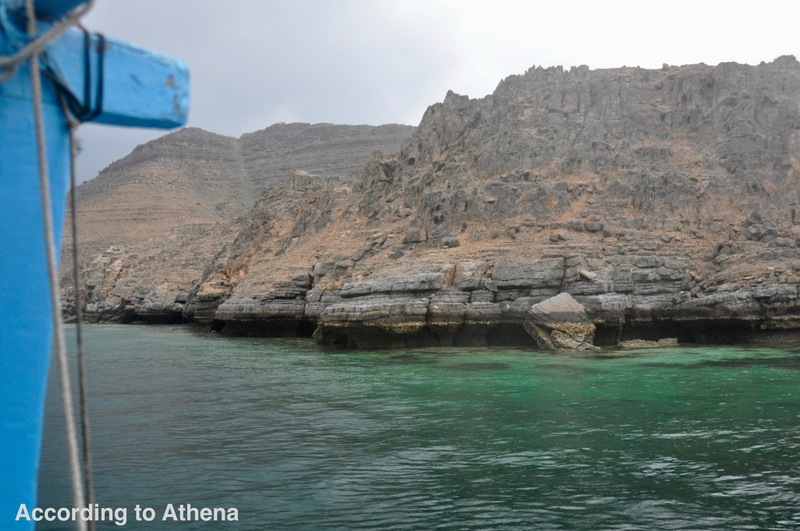 One of my favorite things to do in Oman is to go snorkeling at the Daymaniyat Islands. It’s the one thing we always try to do with our guests, and I usually schedule it for during the week because there are less people. Plus I get to take a day off work! We almost always go with Daymaniyat Shells, which is a wonderful, environmentally-conscious company run by Leah and Fahad. The boat leaves from Al Mouj marina at 8 am and we’re usually back by 1:30 or 2 pm, sometimes a little later. They provide all equipment, towels, snacks, beverages, etc, so all you need to bring is sunscreen and your camera! 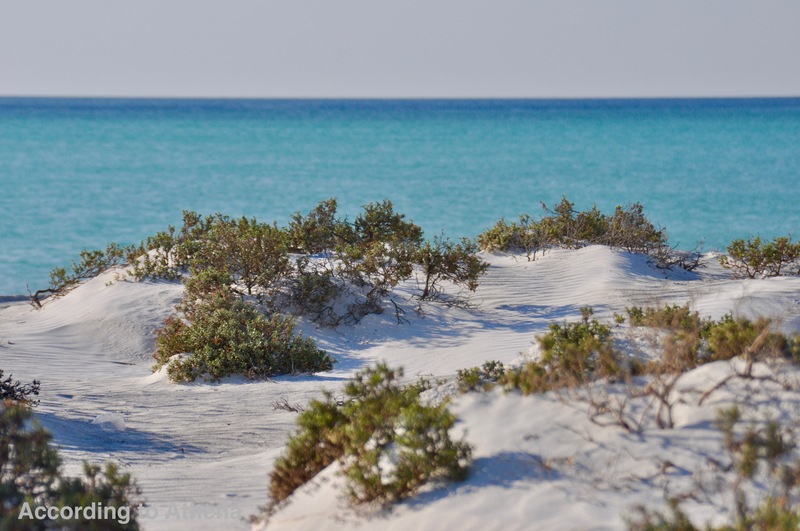 The Daymaniyat Islands are a government-protected turtle breeding area, and humans are only allowed on the islands from November 1 through April 30 because the turtle breeding and hatching season is finished by then. You are basically guaranteed to see turtles whenever you go snorkeling, in addition to lots of fish, beautiful coral, and maybe some sharks and rays. My favorite snorkeling area is Three Sisters Bay. The coral there is stunning, especially at low tide! This guy was in super shallow water and the tide kept pushing me really close to him. He didn’t seem to mind! There are lots of beautiful fish in addition to turtles! This was the first time I’d ever seen this kind of fish and they were probably foot long at least. According to Google these are black spotted sweetlips. Are those tuna? Or sharks? The jury is still out. A very large honeycomb moray. If you go to Fahal Island you’ll see these everywhere. Boats docked by one of the many islands in January, when people are allowed on the islands. 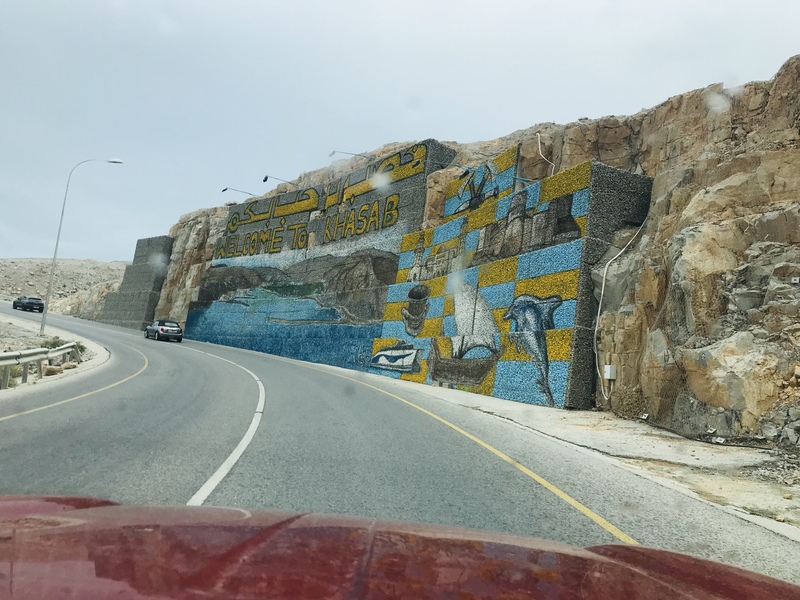 We recently returned from a trip to Masirah Island, and the most difficult part of the trip was getting the ferry tickets with the National Ferries Company (NFC). Today I am here to explain exactly how to make a reservation, pay, and, importantly, actually get the ferry tickets with step-by-step instructions so you don’t make the same mistakes we did! I will make one caveat: maybe there’s an easier way (and I’m missing something huge). If there is, we are completely unaware of it. However, if you follow these instructions, it should be a relatively painless process. Email reservation@nfc.om with the ferry dates and times you want, round-trip. Ferry schedules can be found here. Attach copies of the front and back of your vehicle registration license and copies of the passport biodata page for each traveler. Also give them your phone number. They responded to my email quickly, giving us the reservation the following day. Print a copy of the reservation and go to the office in Muttrah (by the flour factory) to pay. You must pay in advance of the trip. Board the ferry and give your tickets to the NFC employee. Make sure you keep your reservation and payment confirmation papers. When you are ready to board the ferry to come back from your trip, once again you need to get the actual tickets. On Masirah Island, the NFC office has clear signage and is almost directly across from the ferry dock. Overall, we were really impressed with the NFC ferries. They were good-sized catamaran ferries with separate air-conditioned cabins (with clean bathrooms!) for families and men. M had a blast running around in the cabin with all the little Omani kids. The sun deck is bare-bones, and has no shaded areas and only benches to sit on. And the thin cables under the railing weren’t enough to keep me from worrying about M falling overboard. I’d definitely rather take the NFC ferry than any of the other options! “Safety first,” indeed.